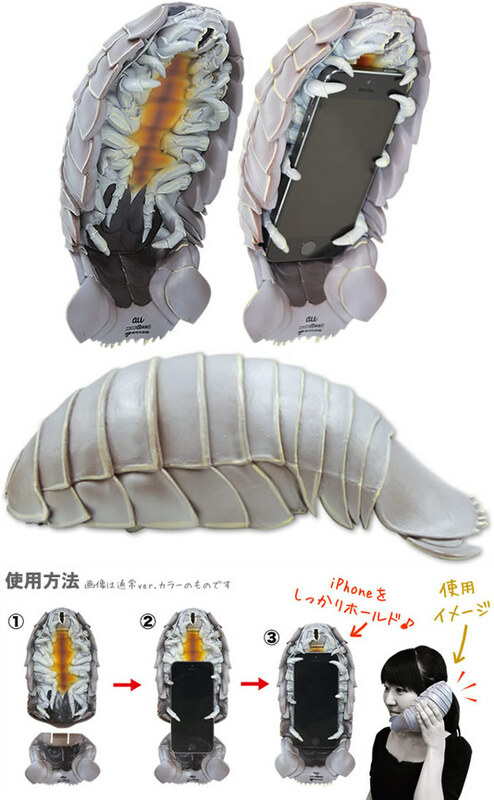 No Thanks: Giant Isopod iPhone Case | OhGizmo! Is it an isopod? An arthropod? We’re no taxonomists and we really have no idea at the kind of life form we’re looking at. But we do know that it’s one of the strangest iPhone cases we’ve come across, and it’s definitely one you should be getting if you’re into being stared at in public transport. You’ll have to pay $80 for the silver version, and $120 for the gold one. They’re only making 500 of these, so any buyer can feel that they have something really special. As if sticking a giant… animal of some kind wasn’t special enough. It seems to be Japan only at the moment.